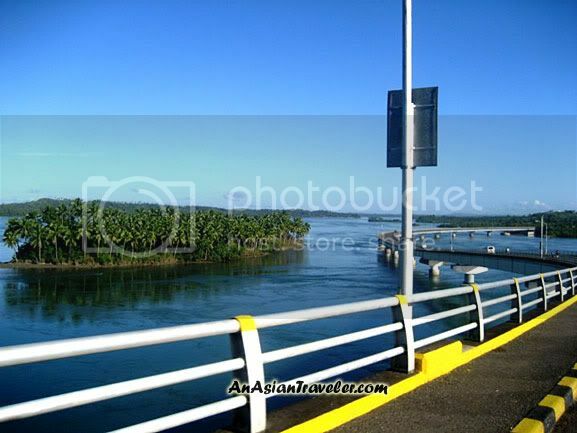 San Juanico is the longest bridge in the Philippines with a length of 2.16 kilometers, which connects the sister islands of Samar and Leyte. It is approximately 10 minutes from Tacloban City and is accessible by any land vehicles. San Juanico is by far the most famous landmark of Leyte, and one of the country's architectural wonder. Constructed in 1973 during the administration of the late President Ferdinand Marcos, the bridge is supported by 43 spans rising 41 meters above the sea. I have visited San Juanico Bridge countless times and I always enjoyed the view. For first time visitors, make sure to stop for a few minutes to fully appreciate the marvelous sights of the sea and outstanding scenery. You can walk along the bridge on a pedestrian lane and just take a few shots. It's certainly worth a visit. 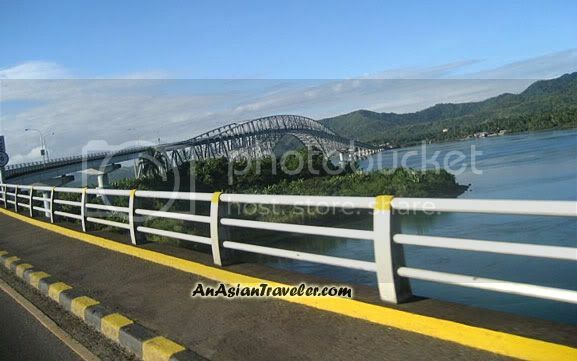 San Juanico Bridge is located in Brgy. Cabalawan, Tacloban City (near the National Maritime Polytechnic). It is good there is a pedestrian walkway - I would love to walk the length of that bridge. Nice photos. You are one lucky lady, having been able to visit different places, especially within the Philippines. was having similar thoughts with ben but was thinking more of the fossil of a dinosaur in the 3rd photo.